The sun is shining; the air is crisp and clear; brilliant green leaves stand out in sharp contrast against a sky of deep ultramarine. The world is full of birdsong and the scurrying sounds of small forest creatures as they scamper through the underbrush. Welcome to morning in the Great Smoky Mountains. 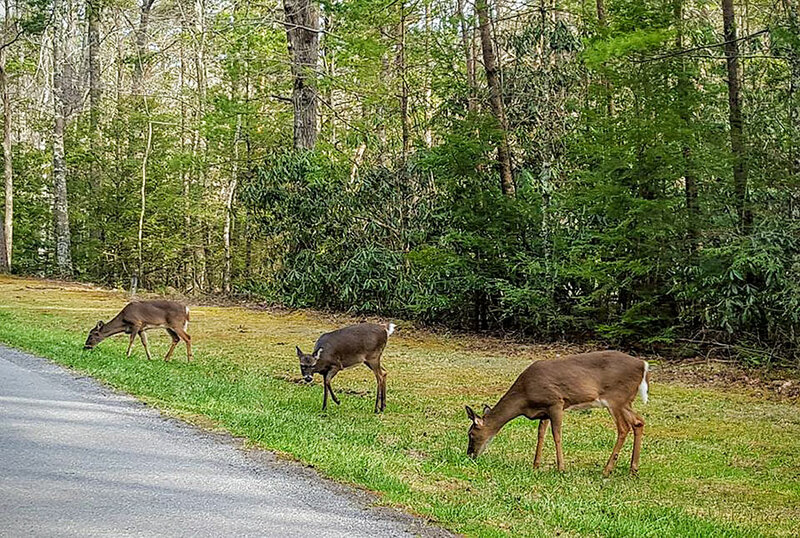 For nature lovers, the Smokies are a true paradise filled with lush green forests, cool mountain streams, and quiet meadows where butterflies flit above the wildflowers. You'll find whitetail deer napping in the dappled sunlight, and trout splashing about in shallow pools. Thousands of species of plants and animals call this region home, from the tiniest of finches to the elusive black bear, so be sure to bring your camera to preserve the memories of a fantastic morning hike in the mountains. You'll discover quiet trails where colorful blooms scent the air, and chipmunks dart away with each step you take. Don't forget to pack a picnic lunch for your hike, though, because there are plenty of out-of-the-way spots to spread a blanket and enjoy the solitude of an afternoon in the wilderness. Filet mignon served on fine china will never taste as sweet as tuna salad shared with friends beside a burbling creek. 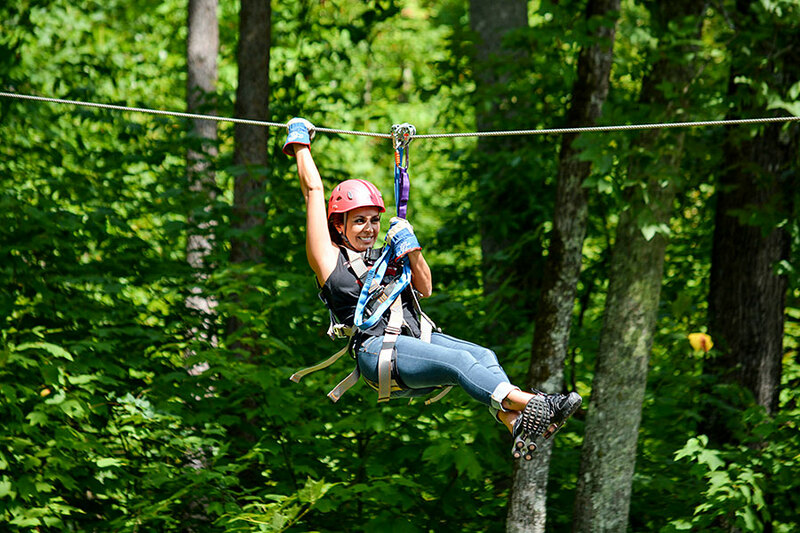 For a completely different view of the Smokies, make time for some adventurous fun in the treetops with a zipline tour. You and your friends will experience the forest in a completely new way as you glide effortlessly from tree to tree like a bird in flight. Your zipline guides will urge you on to ever-increasing heights and speeds until you feel as if you're truly flying. But don't worry. This heart-pounding ride is as much fun for the mellow members of your group as it is for speed lovers. All that's required to enjoy this adventure is a love of nature and a desire for an extraordinary afternoon in the wilderness. Zipline tours are filled with spectacular views of the mountains that most will never see. Beyond the reach of public trails, and far past where the road ends, ziplines crisscross the forest, giving you a view of nature as she was meant to be seen – uncluttered by easy-access boardwalks and gift shops. The only walking paths here were made by generations of deer, and the only man-made objects are perched unobtrusively in the trees. It's as if you've ventured back in time to when the first settlers discovered this gorgeous mountain range. After a day spent hiking and zipping your way through the Great Smoky Mountains, there's no better way to relax than around a campfire with friends. You'll share good memories of the day you've spent along with lots of laughter and maybe a few toasted marshmallows. As the sunset turns the sky to shades of indigo, you'll hear the nocturnal creatures of the forest beginning their day. Owls hoot their greetings, and in the distance a coyote howls to his mate. The world is filled with peace and tranquility when good friends gather together for a mountain vacation dream that's tailor-made for nature lovers. Kerry Hodge is Owner of Smoky Mountain Ziplines. This zipline near Gatlinburg offers excitement for the entire family ages 8 and up. Get details, pricing and book your reservation today.